26th St. & Kostner Ave.
Hernandez will be the Little Village Coordinator for the [LVCC & HOPE] community meetings. “I’ve accepted this responsibility because I believe in the importance of being involved in the community you live in,” said Hernandez. ULYSSES HERNANDEZ is a proud, life-long, resident of Little Village and a graduate of Cristo Rey Jesuit High School. Presently, Hernandez is at Loyola University. His parents are Maria & Jose Hernandez. Early voting: March 3-15 at 51 Chicago sites. All sites are open Monday through Saturday, from 9 a.m. to 5 p.m.
 Mail Ballot: Must apply online or download a Mail Ballot Application. Last day to request a mail ballot, including military and overseas voters, is March 13th. Ballots must be mailed on or before March 17. In person, on Primary Election Day Tuesday, March 18, 2014. Vote only at your precinct.VOTERS will nominate Democratic and Republican candidates for U.S. Senator, Governor, the Judiciary and other statewide legislative and local offices. In a Primary Election you must declare your political party affiliation: Democrat or Republican. Ward 25: Chinatown library, 2353 S. Wentworth Ave.
Ward 26: Humboldt Park Boathouse, 1359 N. Sacramento Ave.
Ward 30: Kilbourn Park, 3501 N. Kilbourn Ave.
Ward 31: Portage Cragin Library, 5108 W. Belmont Ave. REGISTERED voters in the City of Chicago may use any Early Voting site, in the city, regardless of where the voter lives. You do not need a reason or excuse to use Early Voting, but you need to present a government issued photo identification card. It is a felony to vote more than once, or to attempt to vote more than once –in the same election. 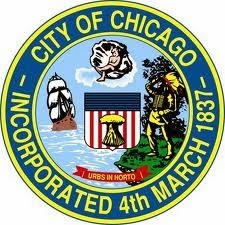 For more information call the Chicago Board of Elections at 312/269-7900. HISPANIC LABOR: “Meet the Candidates” dinner meeting sponsored by the Hispanic American Labor Council will be Wednesday, Feb. 19, 2014 from 6 p.m. to 9 p.m. at Mi Tierra Restaurant, 2528 S. Kedzie Ave. Democratic candidates in the Tuesday, March 18, 2014 Primary Election are invited to attend the dinner meeting hosted by Hispanic labor leaders. Ticket donation: $40. For tickets or more information call 312/286-3405. VOTE 2014: Tune-in to the VOTE 2014 live Hot Line TV Cable Channel 21 show at 6:30 p.m. on Tuesday, Feb. 18, 2014. Langdon D. Neal, Chairman & Commissioner of the Chicago Board of Election Commissioner is the guest on the show. This is a live call-in show. You can talk to Chairman Neal on the air about anything relative to elections. Mark your calendar now. 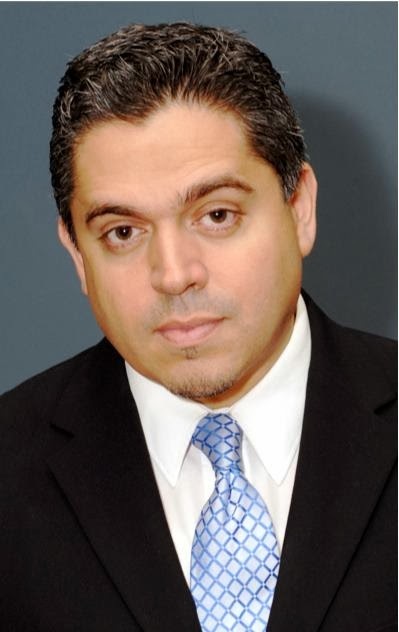 A VICTORY: Under the leadership of Xavier Nogueras, President of Accion Rescate [Rescue Action], a group of Puerto Rican organizations including past presidents of the Puerto Rican Parade Committee of Chicago [PRPCC], won a Cook County court ruling. The decision, by Justice Sophia Hall, on Friday, January 10, 2014, forces PRPCC to hold elections in order to elect a president as soon as possible. This ruling ends a historic court case that was filed in October 2012. THE PUERTO RICANS of Chicago challenged the abrupt decision of the PRPC President, Angel Medina, who cancelled the traditional election and disrupted the 45th annual Puerto Rican Parade which had always been held in downtown Chicago. The community was outraged by Medina’s actions. NOW, the community will discuss a plan of action to hold elections and to move the Puerto Rican parade back to downtown Chicago. “Accion Rescate and the stakeholders fought for the dignity of the Puerto Rican community of Chicago,” said Nogueras. FOR MORE information contact Xaxier Nogueras: 773/593-1345, Dr. Julio Cruz: 773/369-4810 or Leoncio Vazquez: 773/683-9039. USHLI CONFAB: The 32nd United States Hispanic Leadership Institute National Conference will be held February 13-16, 2014, at the Sheraton Chicago Hotel and Towers in Chicago, IL. USHLI is expecting a full house again this year of 6,000-7,000 present and future leaders, representing 40 states. USHLI is led by Dr. Juan Andrade, Jr., one of only two Latinos in history to receive a Presidential Medal “for the performance of exemplary deeds of service for the nation” and “promoting leadership and civic participation”. He is only the 11th Latino, in history, to be decorated by a U.S. President [Bill Clinton]. AS IN years past, USHLI Confab expects over 70% of attendees will be 18-34 years of age, over 60% will be women, and over 80% will be college students or recent graduates. It’s going to be a great celebration featuring nationally prominent speakers, expert presenters, exhibits and graduate school expo, and great entertainment. For more information call USHLI at 312/427-8683.